Summerr In The Shower: Happy OMG Day! SylSyl is coming!!! Happy OMG Grand Finals Day! 1 More Day .... Meet the Guest Performer QQD! Who do YOU think is gonna win? Roadshow Vids/Pics + FINAL OMG! Roadshow TODAY! American Idol 10 - Coming this January! OMG! Cares + Your OMG! Grand Finalists! Happy OMG Day! SylSyl is coming!!! MISS ALL MY IDOL STUFF? CLICK HERE! Here's a vid of a recent interview she did with CNA (just yesterday I think), and you gotta hear her accoustic version of 'Its Raining' - you can really hear her voice here - worth a peek. More on the OMGers later! Tune in tonight at 8pm, LIVE! on Channel 5 for OMG Cares - the One Moment of Glory Charity Special. No voting tonight, just lots of entertainment and the results from the last two weeks of votes. Who will be going home? Join the OMG! Facebook Page NOW! summerr loves her tv. in fact, she's downright passionate about it. This blog grew to be the Unofficial blog of Singapore Idol 2009. This year, its going OMG! Hope you'll enjoy the inside scoop on this year's big reality must watch! The Cutest Blog on the Block - Free Blog Backgrounds, layouts and more! Xiaxue.blogspot.com - Everyone's reading it. I’m just someone who’s really passionate about television. I used to work in TV Land, but gave that all up to join Mommy Land. But that hasn’t stopped me from watching TV at home and talking about it. HERE COMES THE DISCLAIMER : The opinions expressed in this blog are mine and mine alone. My content and I are in no way affiliated with any organization. 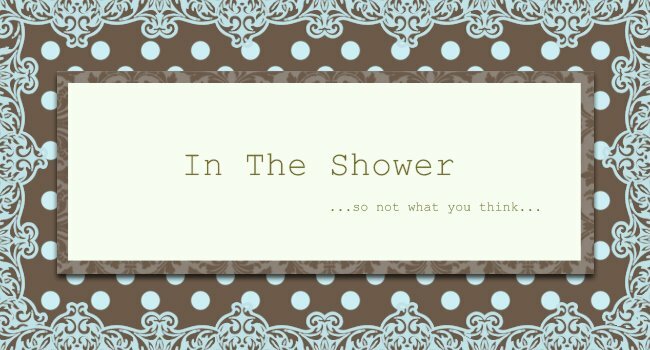 All original content is produced and Copyright © to summer-in-the-shower.blogspot.com. WITH REGARDS TO SINGAPORE IDOL : I am neither employed by MediaCorp Singapore nor do I receive any remuneration from them with regards to Singapore Idol.